I got one for sale, case is completely undamaged. Colour is grey. PM if anyone is interested. Please put your for sale items in the classifieds section. Thanks. I emailed with Justin at Tex yesterday and was told that they are redesigning the TKL case this year. Well, I asked about the TKL case and he said, paraphrased, that they didn't have any in stock but were redesigning them this year. I took the opportunity to ask for slightly oversized key cutouts for custom keycaps and slightly oversized controller board space, but didn't hear back. I hate to ask, but any word on this? This just popped up on their incoming stock page. It's A-ka-meegh, Not AKA Mig. Oh, It's between March 14th - April 22nd. Not Aka"MLG 360 NO SCOPE GET REKT" either. Just wish it was winkeyless. But then again i wouldn't know which pcb and plate to fit it to. The phantom pcb/plate works with it, no? Will these fit a Leopold 750R? Doubt it though. so let me get this straight, if I want a phantom filco tex case I have to buy the filco to get the plate? Highly doubtful...there is no indication that our plates will not fit the new cases. In fact they should. As for Leopolds, or some other brands outside of Filco, we can't definitively say what will fit until we have at least a sample in hand to try. Chances are good that the new batch will fit most TKL's. We will have to see. What I can say is that the phantom will fit the previous case but the teensy is a little tight. wait.. you guys sell plates individually? But where's the 86key layout with stepped Caps Lock support plates at? yay been waiting on this for ages. Do you guys have any idea what the new design looks like? do you have any pictures of the purple or silver versions? I hope its the same one that is currently sold on taobao, as it looks pretty good. To be fair, I didnt like the old design very much. Do you have a link to the one on taobao? I can't seem to find it. That doesn't appear to be made by Tex though? Maybe my page didn't translate correctly. I don't see anything about TEX in the description either? It does look better without that line where the two halves of the case meet. Oh, you are right. Now I see its not made by tex. 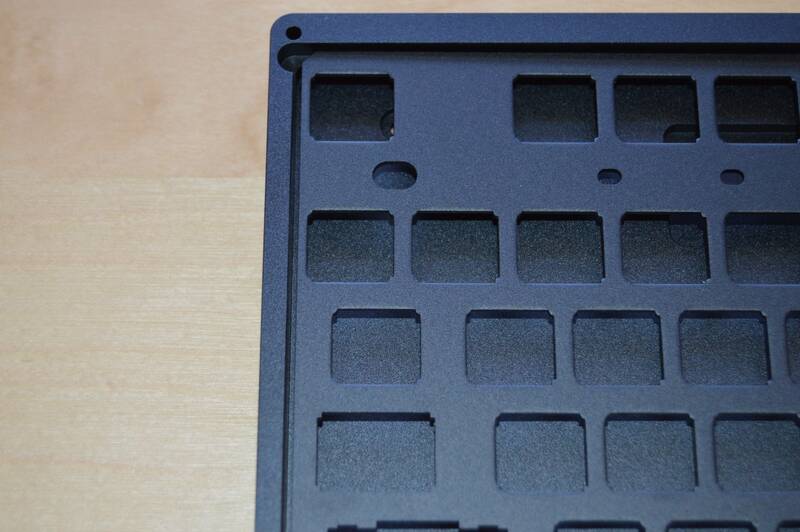 It seems to be the same manufacturer that makes cases for massdrop, like those varmilos and the hhkb lego brick. I managed to get my hands on a new Tex case the other day. I would imagine it's the same ones that MK will be selling soon. 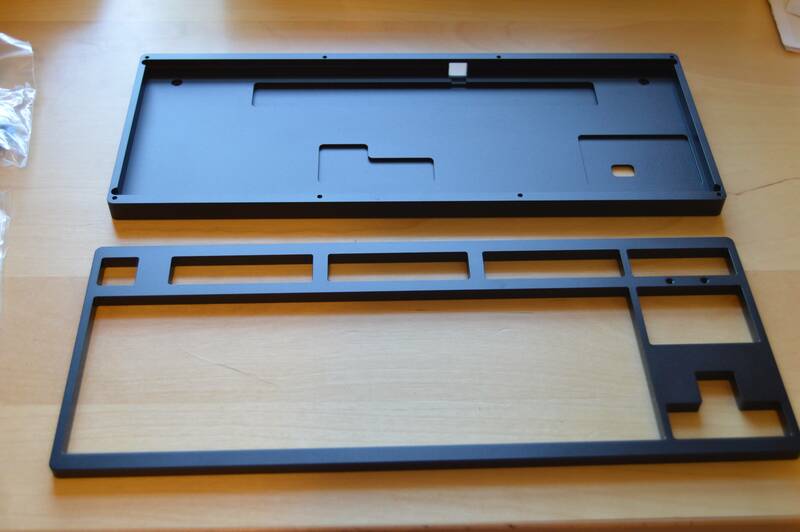 The plates sold by MK do fit inside the case, however, I feel like the case was designed for the Filco plate... possibly the majestouch 2 only. as the case has slots on the top and bottom for the metal tabs to go into to prevent the plate from moving around. 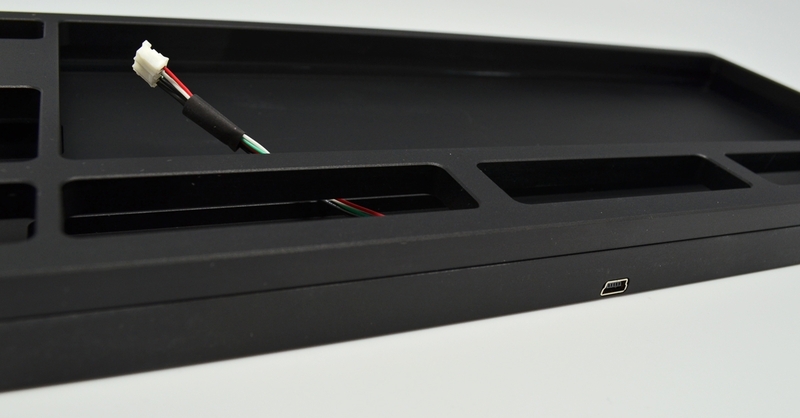 There are no screws to fasten the keyboard's switch plate to the case. The plate sits on a ledge inside the bottom portion of the case. If its flush enough, or has the aforementioned tabs, it won't move. Because the MK plate doesn't have those tabs and is too small... the plate does move around in the case. It may not be a huge problem.. but it is something to keep in mind. I haven't received all the parts to finish my board yet... but when I do I'll be sure to update everyone on if it was a problem. Pic without the plate... see the notches? Nice. Can you take a picture of the case bolted closed? I'd like to see if they made the tolerances tighter where the two halves of the case meet together. is there any molex cable from this pic? There's a Filco molex cable included... but there's no mini USB port in the new version... There's just a hole for a cable to route through. So it's not a detachable cable design? Nope. You could get a Male to Female USB dongle and have that connect to the controller and stick out the back. Wouldn't be the prettiest thing but it'd work. I forgot to take a pic of it put together. I'll have to do that. I can tell you though.. the tolerances seemed perfect to the human eye. The two pieces fit together and are snug. Those Phantom adapters look interesting... I wonder if that would allow you to take a Phantom plate and make it have those tabs that stick out. I might have to look into that. Yes, please post pics when you take some of the front/sides/back of the case Is there some kind of stress relief plug, or grommet to make that hole for the cable look clean? As for the Phantom adapters. She made them so Phantom plates would fit the older Vortex cases, so they should work the exact same for these. The area where the cable comes out is basically just a hole. There's a small indentation near the hole where I think they intended it to be a stress relief but I can't see it really working that way. You can kinda see what I'm talking about from my first pic above. Personally I'm not too worried about that... I think it'll still look pretty clean. I'm much more worries about my plate wiggling around in the case while I type. Were the Vortex cases designed like the Tex where it required a plate with the notches sticking out? 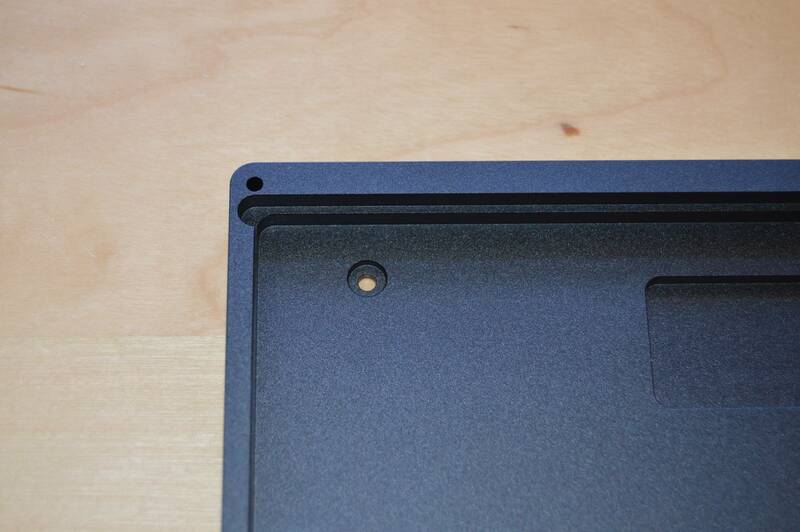 Yep, the Vortex case was made for the Filco style plate just like the Tex cases. That's why those Phantom plate addapters should work. Only been waiting a whole year for this. Gonna go back to smashing F5 on the product page now. I'm worring about quantity. I hope they would not out of stock in a minute. it would have been better if preorder available. anyway, are those phantom plate adapters necessary? I was thinking about insert 3mm sound-proof pad + electrical insulation film between case and my phantom pcb instead of that. Interested to buy 2 cases for my phantoms. Are the Purple and Orange expected to be in stock as well? I see those aren't available for pre-order yet.